I started my e-waste research since last September(2017). 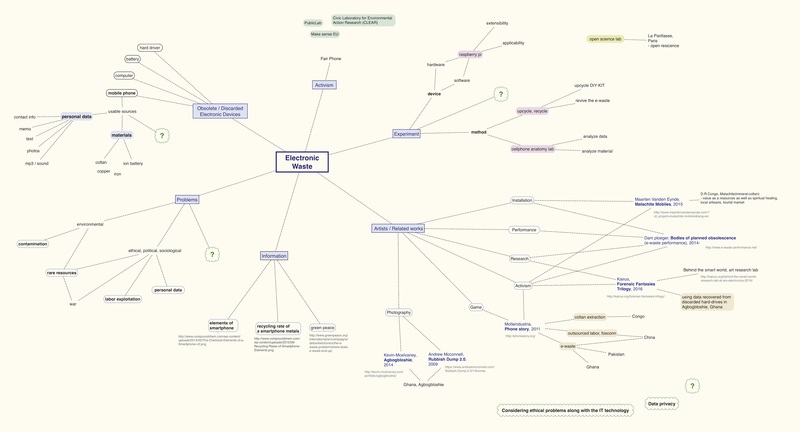 At the beginning, I’ve been searching for information, art works and artists related to e-waste and then, made a mind map with the resources. 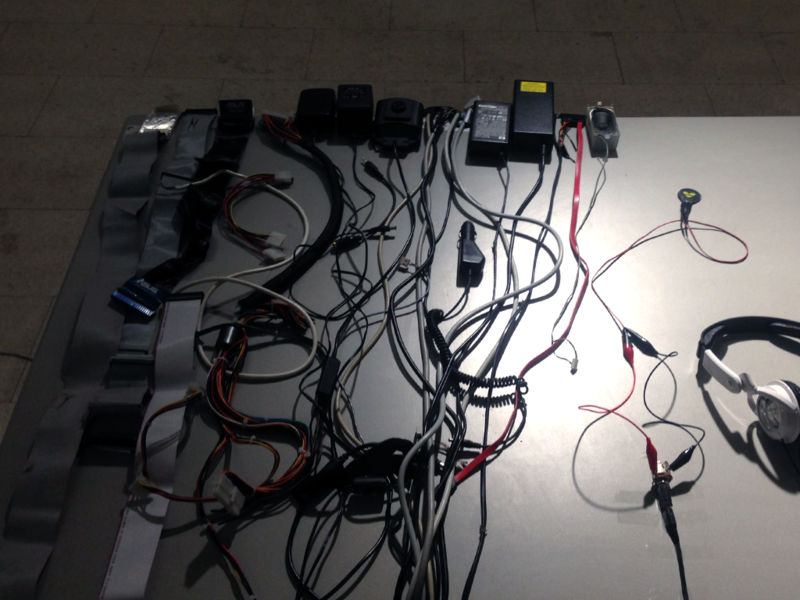 While researching information, I also started to collect electronic waste around the city, consisting of broken computer parts, lots of wires, deceased cellphone etc. I do appreciate my kind colleagues to bring me e-waste whenever they find something around themselves. After some theoretical research, I started to tinker with my materials to ‘make’ something with them. 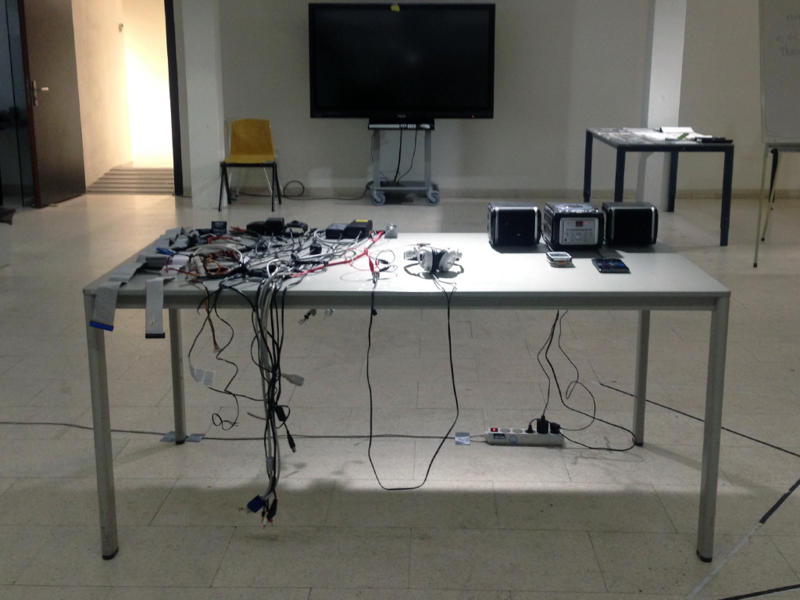 As the first trial, I made an installation composed of electronic waste. It was exhibited at Orbit Fest, on Decemver, 2017. 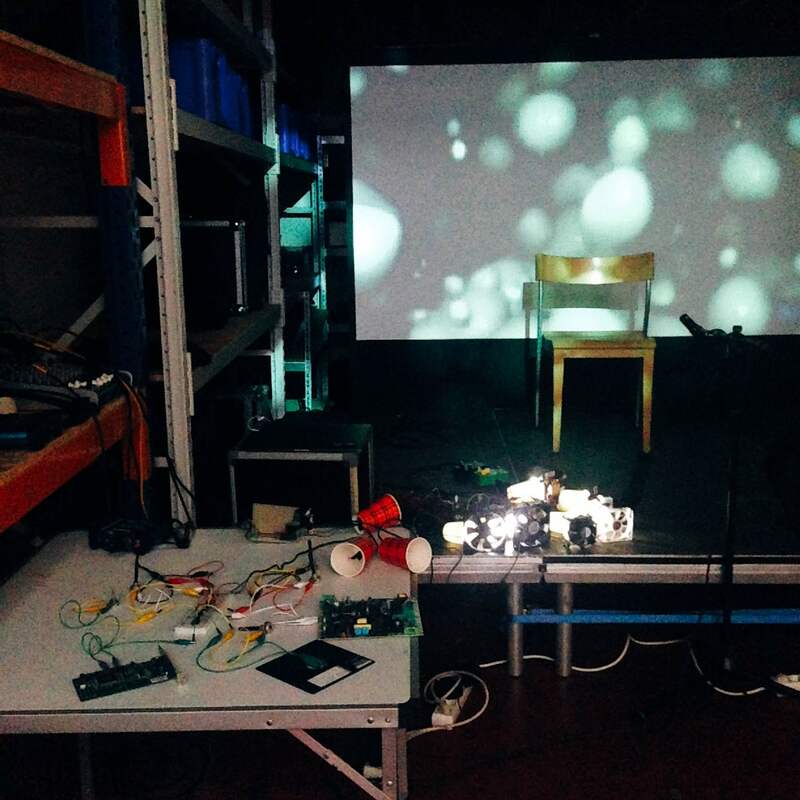 In collaboration with a cellist, Lucija, I had a performance with my analog synthesizer and e-waste installation, which was modified and added interaction with servo, using Arduino, MaxMSP and contact microphone. We performed at Het Rumoer festival on April, 2018. 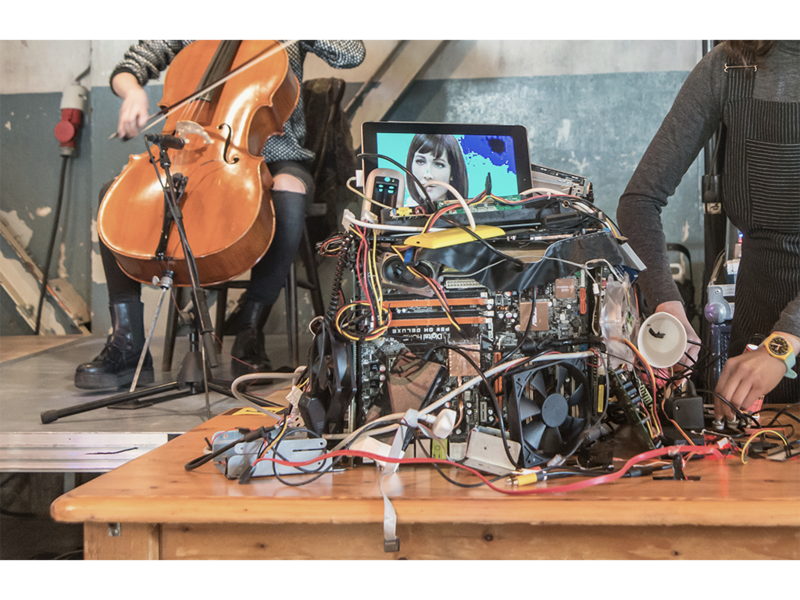 The microphone was attached to the cello, and according to the input that mic received from cello, not only the video on the installation but also the sound of cello were modulated and distorted. During the feedback session of my class on March, 2018, I presented the work in progress of my e-waste instrument research. After the workshop ‘Electricity Matters’ last November at STEIM, I’ve been interested in playing with circuits in order to make instruments (and related stuffs). While keep exploring with circuits and analog synth, I came up with an idea that combining circuit instruments with e-waste to make instrument. I found a nice tool for catching and listening electromagnetic wave, which is ‘Elekrosluch’, developed by the lable LOM. I wanted to try it with curiosity, but it was sold out at the time and also a little bit expensive for me as well. Luckily, I found a tutorial on Make magazine, written by the Jonáš Gruska, who actually developed the elektrosluch at LOM. So following this guide, I made my own simple version of elektrosluch. For the Shaky Grounds festival on June at my college, I started to collaborate with Lucija, who plays cello and studies at Conservatory since last March. I planned to make some interaction between cello and my installation, so I had to make a contact microphone to attach on the cello, so that I can manipulate signals from cello. 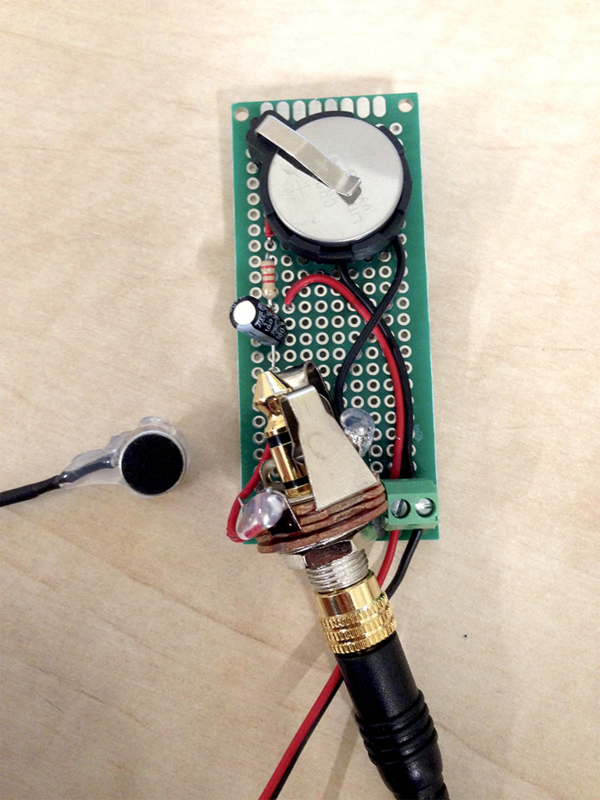 I found a tutorial for contact microphone made by Marco Donnarumma, it was devised for his Xth sense project. It can catch up very subtle vibration and is easy to deal with using MaxMSP. MaxMSP patcher for sound and video distortion, using contact microphone as an input. 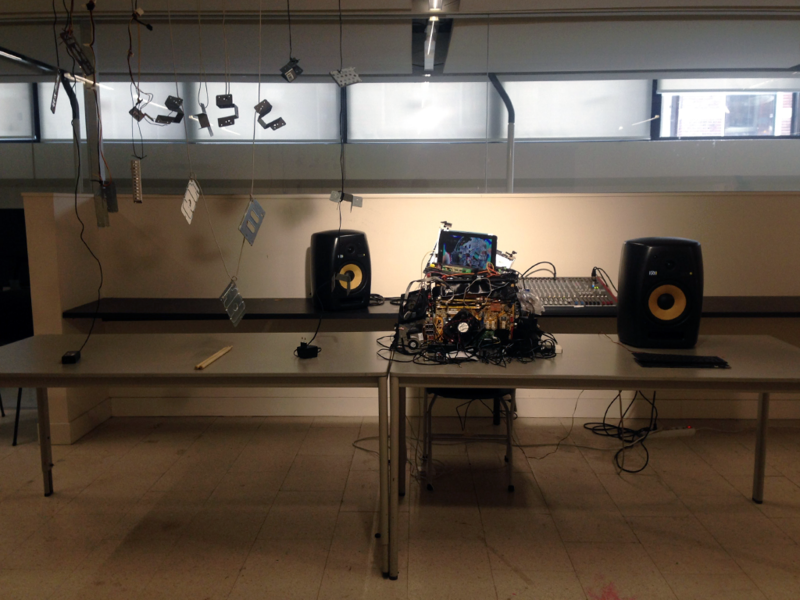 I began to work in earnest with analog synthesizer and e-waste together during the Spring semester. 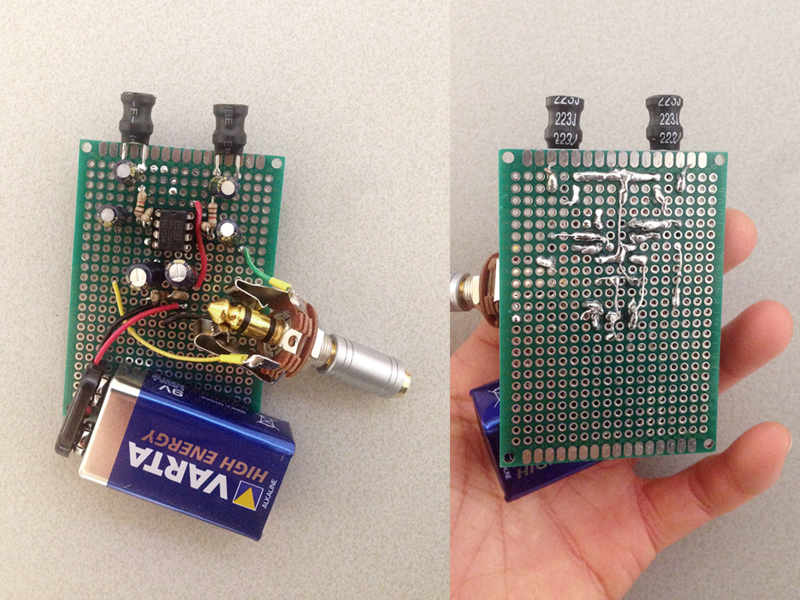 I used some electronic components among my e-waste collection as a part of circuit instrument. 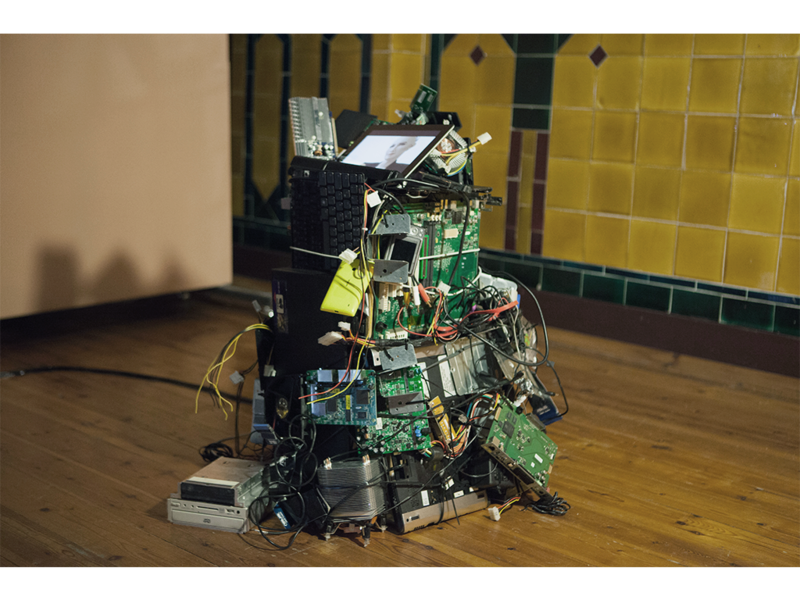 This process was quite interesting because each electronic waste has their own resistance value, so I could make different sounds from every different e-waste. 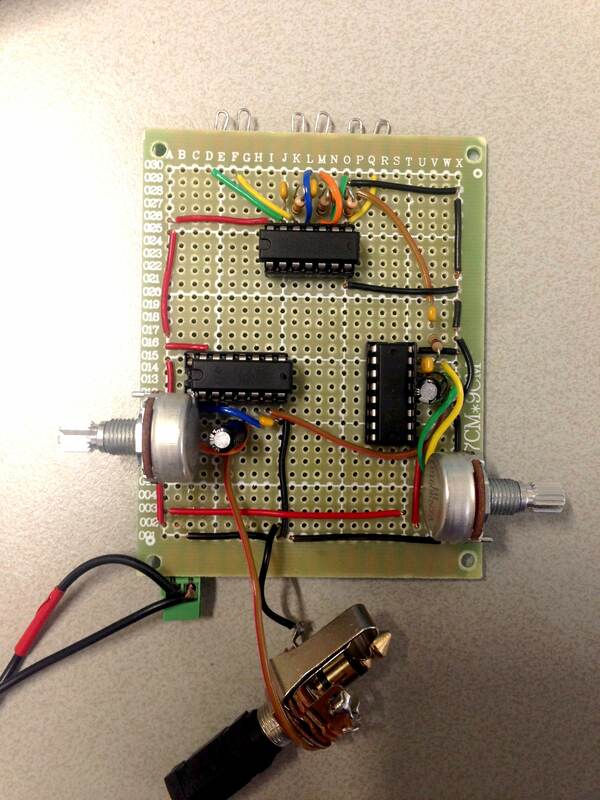 I made an oscillator with distortion and modulation, and connected 3 e-waste to the oscillator. I liked the combination of sound of boiler component, ethernet adapter and floppy disc, so I played with this combination until the end of semester. The book Handmade Electronic Music by Nicolas collins helped me a lot and the workshop with Nataliya Petkova as well for developing this work. 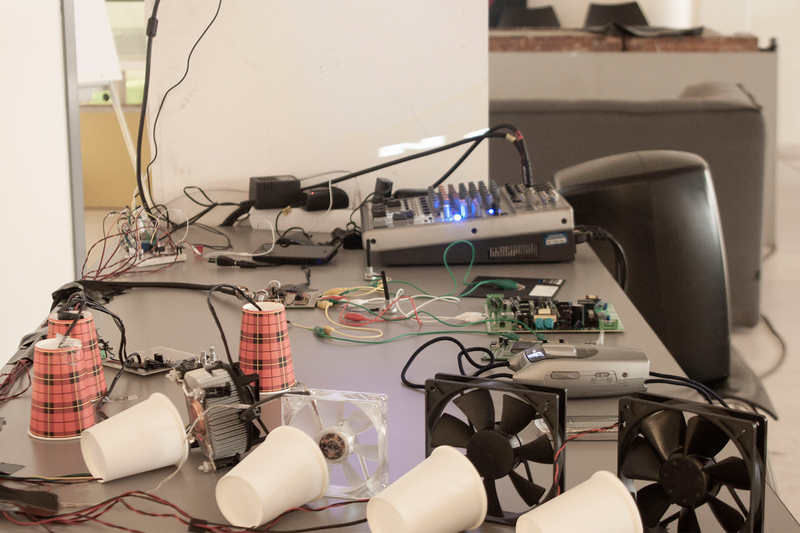 Besides making instrument, I was also working with computer fans to make them as interactive installation. 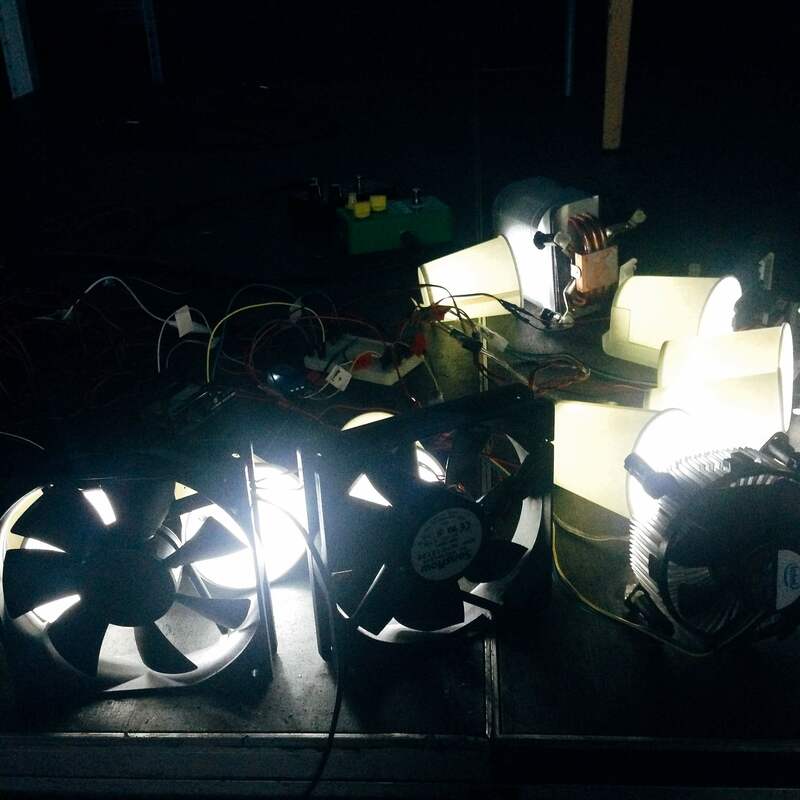 The initial idea was to control the speed of each fan according to the signal from cello, but I couldn’t handle in that way. 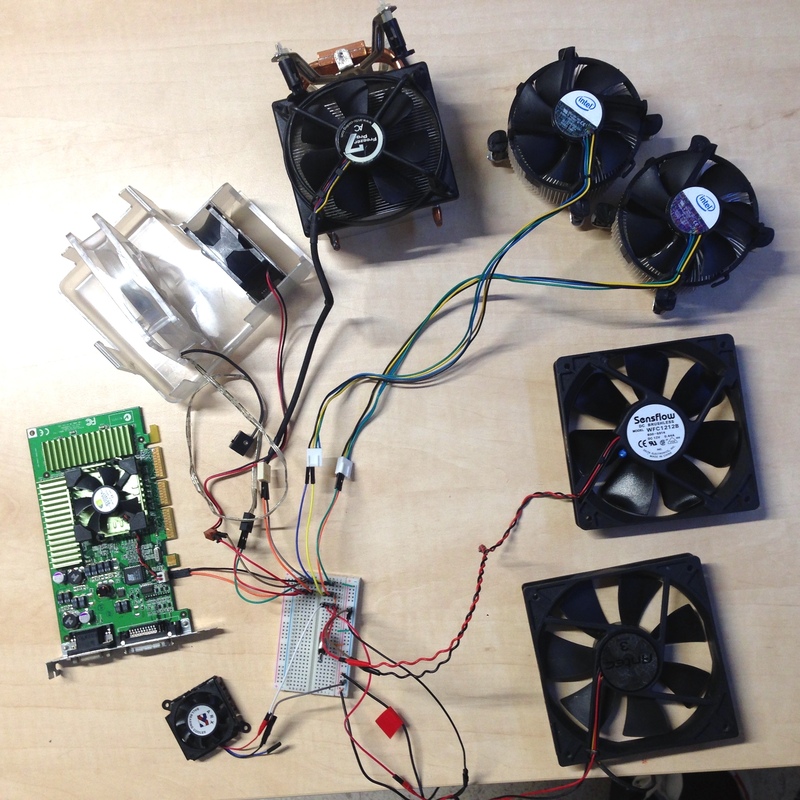 Thus I just used relay module with Arduino to turn on and off the fans at regular intervals. Then I decided to use led strips instead for the interaction with cello. I could handle the illuminance of lights according to the signal that contact mic received from the cello by programming MaxMSP. I put leds inside the paper cup, and put them behind the fans. So when activated together, the light spreads out through the fans, and this looks quite nice as the spinning fan makes light more softer. Lucija and I got another chance to perform at Betontegel festival after our first performance at Het Rumoer. 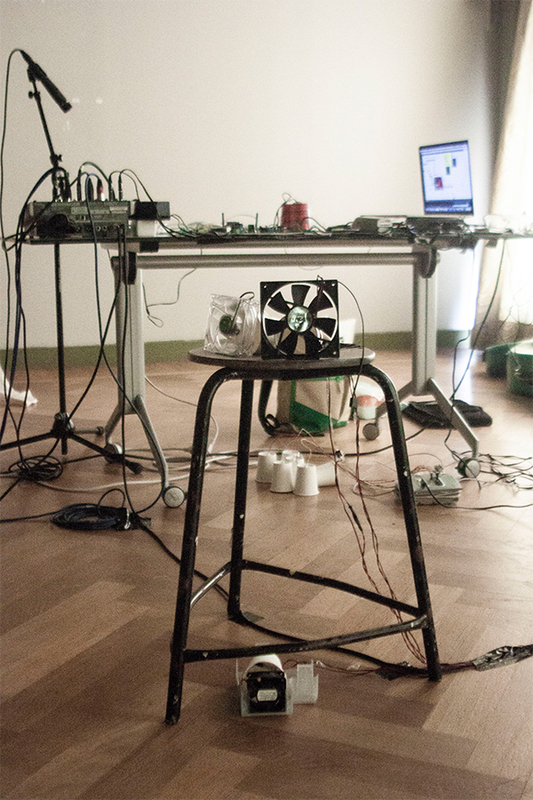 It was an experimental sound festival in Groningen. 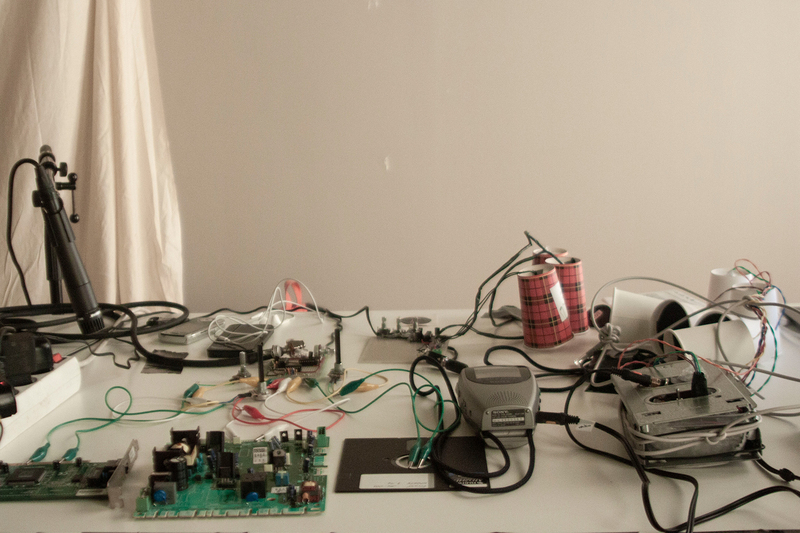 My instrument and installation were still in work in progress, but anyways more developed before that. 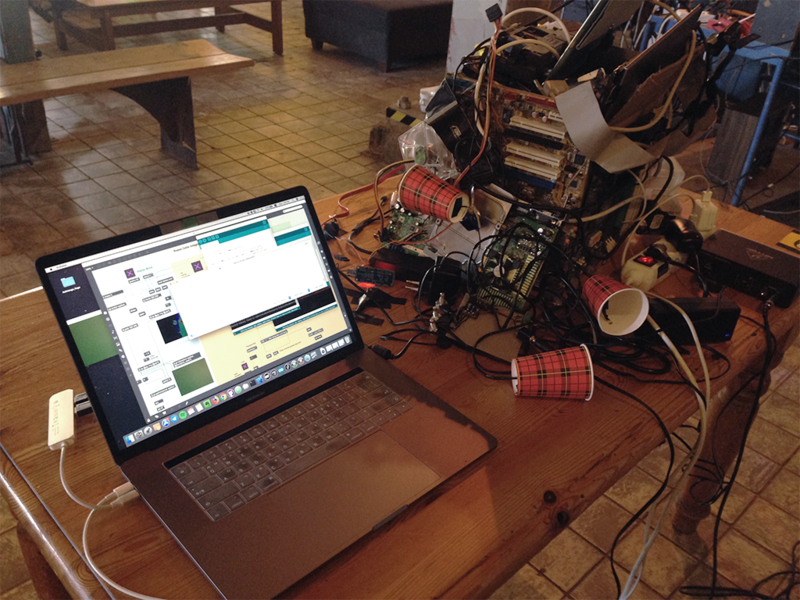 On June, we had Shaky Grounds festival at FMI(my college), and I could show my work in complete condition, altogether with fan-leds, e-waste synthesizer, radio, and mobile phones. My first year has finished! 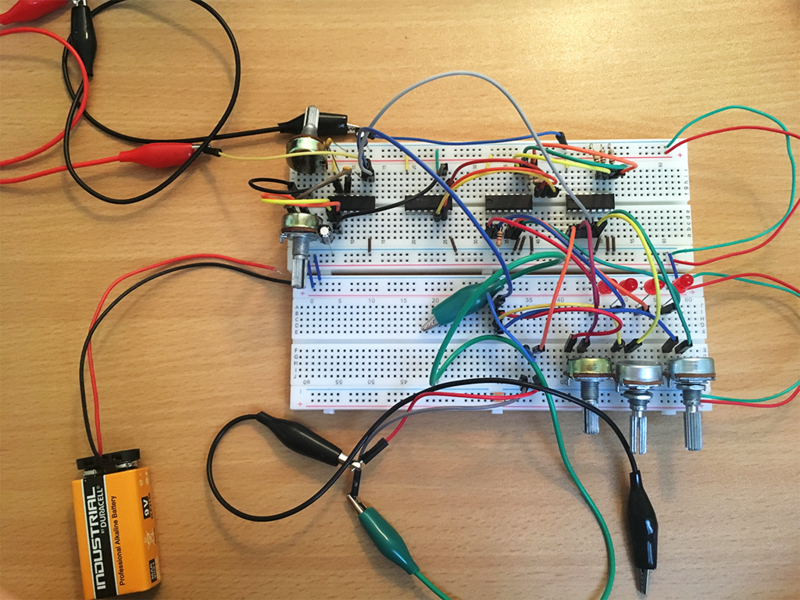 On July, I started to look into sequencer to develop my e-waste synth. 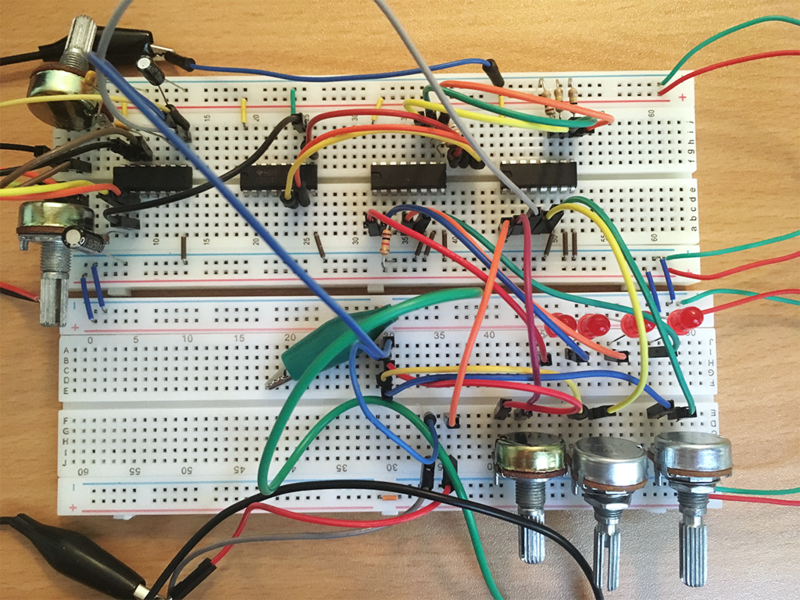 Following these references - Casper Electronics DIY synth building, Part2 Sequencers, and Logic Noise:The switching sequencer has the beat, at Hackaday.com, I’m now making sequencer, and planning to play with it during the summer vacation. 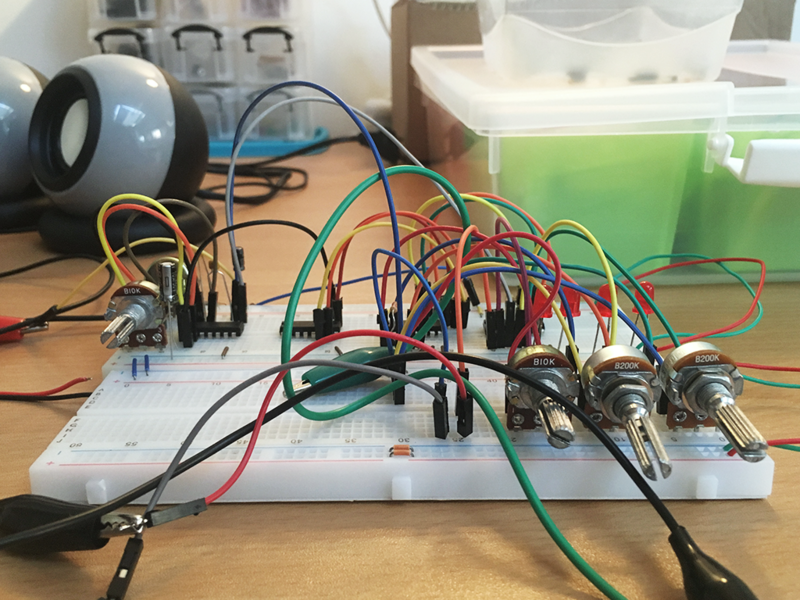 Finding various bleep sounds from boiler component(e-waste), using handmade sequencer.